The only use for the following navel-gazing information is to idly compare it to your own circumstances. 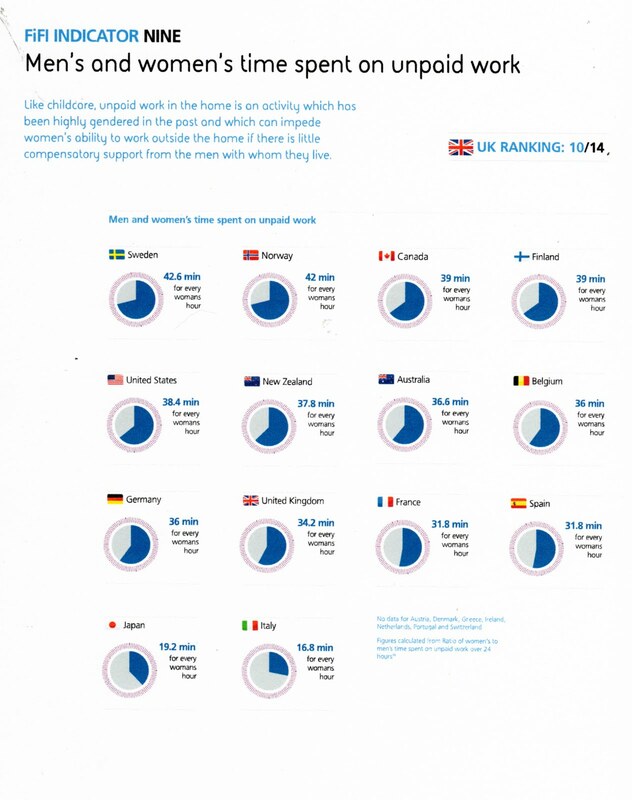 My household would rank below Italy. I do almost all the gardening and housework. That is because when himself is at home he is usually doing paid work. It just continues from one computer screen to the next. And that's fine by me. He might also point out that as he puts a reasonable dollop of money into my bank account each month my work is not in fact unpaid. With 183,000 single parents receiving the domestic purposes benefit, it was important to pay attention to how changes to the benefit system would affect them. So I searched the paper by 183,000. Here is the result. Approximately 183,000 children are being raised in a family on a Domestic Purposes Benefit. Then I checked the Commissioner's release but it wasn't his mistake. Very poor reporting on the part of the journalist who shows they are completely unfamiliar with the subject or wouldn't have made such a glaring mistake. But back to the Commissioner's objections. He wants single parents to be able to stay on the DPB for longer than two years and doesn't want any measures introduced that prevent more children being added to the benefit. Result? Long-term dependence. Back to the drawing board. So the Children's Commissioner can be added to the long list of people who know there is a problem but don't know what to do about it. Their constant refrain is "what about the children?" Quite. What about the children if we require no more from their parents? What about the children if parents are allowed to continue to treat the benefit as a lifestyle entitlement? I am fully behind the documented option to reduce the DPB to one year only (with a lifetime limit on welfare). This allows time for the mother and child to bond in the case of a new birth, or time for a recovery after a relationship breakdown in the case of a separation. But one year's availability (in the majority of cases) would change the way people think about welfare and require them to start taking responsibility for their own lives. It is also in line with most working parents expectations. One year off work. From a photo by Carrick. 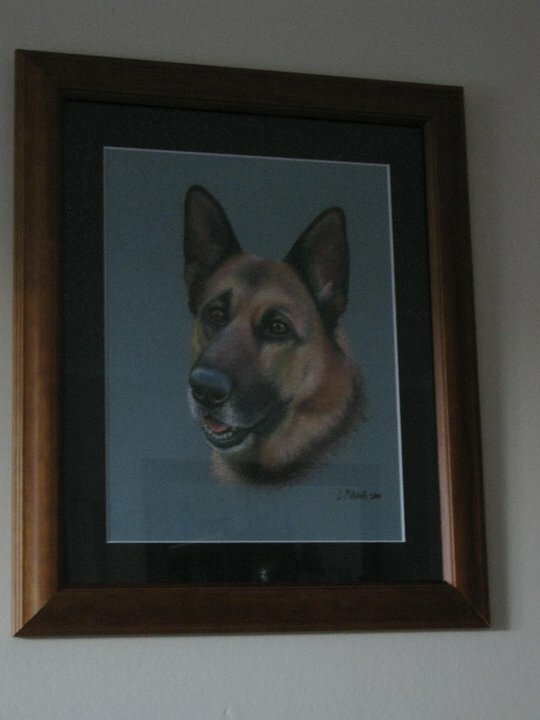 Susan picked him up at the weekend and has framed him already. Gorgeous dog. On my 15th straight day of 'public' pastelling and I have work coming in steadily. All the usual accusations of 'beneficiary bashing' have surfaced on the back of the Welfare Working Group's options report. Tapu Misa, Gordon Campbell, Sue Bradford, the Alternative Welfare Working Group, the Greens etc. Even Steve Maharey emerged yesterday to add his criticism to the carping cacophony. We have heard all of this before, along with the willingness to distort everything we know about the welfare system to win the argument. Priceless. He would know about distortion. For years he painted a misleading picture of people on the DPB as typically separated, in their thirties and highly motivated to work. What we need is an approach that will harmonise social policy with economic development and identify social programmes that make a contribution to economic growth. If this can be done, the case for social welfare holding back growth is weakened and arguments in favour of social welfare become compelling. I call this alternative social development because it provides a justification for redistribution by advocating resources be put into social investments that will impact positively on the economy. Oh groan. Social 'development' was practised for years under his watch. That's what the Ministry is named after. There is, however, an economic theory called 'broken windows' that explains why redistribution of resources on the back of calamity does not add to overall economic growth. Mike O'Brien, an associate professor of social policy at Massey University, questions the focus on dependency. He writes that other than anecdotal stories and "prejudicial assertion", no evidence is presented to support the claim about benefit "dependence". I have, by the way, argued frequently that the last statement is an undercount and explained why. But if this state of affairs isn't 'dependence' then it is hard to envisage what is. So I was buoyed to read this morning that John Key will be looking for next year's welfare policy in the final recommendations the Welfare Working Group make in February. He [Key] signalled that he also wanted final proposals from the welfare working group, due to report in February, translated into policy by the next election. Good man. Put up some real welfare reform policy and I will vote for you. It'll be a first. NewstalkZB political commentator, Barry Soper, never worries about disguising his dislike for Rodney Hide and ACT. Here he refers to him as "Rodney Thick Hide" . Which ever way you read it neither interpretation works. He is not thick. And he is not impervious to criticism and hostility. I made the reacquaintance of an old (but young) ACT supporter by chance the other day. We reflected on Rodney's unfailing, and often unfounded, optimism. And his sheer doggedness. The second trait is reinforced by John Boscawen's uncanny ability to never falter when he has a goal. Neither are out for the count yet. I commented to my husband when Rodney became engaged to Louise Crome that she would want children. Not that I know her or anything about her. But I was a similar age, and newly married, when I had my first child and if it is there to out, the desire to mother is very strong by that stage. So I also wonder what that will mean for the future of ACT. Rodney becoming a father again. He is a character predisposed to sea changes. Perhaps he will draw the curtain on politics. At least he would no longer have to tolerate silly name-calling. Predictably the NZ Herald is sensationalising another Don Brash Orewa speech delivered last night with the headline, "Brash attacks Maori - again. " The section about Maori and equal citizenship is only a small part of a speech which lays out plainly what is wrong with the way National is managing the country and what needs to happen if the economic decline is to be arrested. One of the problems in any democratic society is that when left-of-centre parties are in power they tax heavily the high-income minority to win votes from the majority. For at least a time, they can be almost guaranteed of winning if they take $1,000 off one voter and give $200 to each of five voters (after clipping the ticket on the way through of course!). Right-of-centre governments feel obliged to continue that policy, even where it violates their constitution and destroys the country’s future. The problem is that, unless those policies are reversed from time to time, we get a steady increase in the size of government, and a steady increase in the tax burden carried by the most productive members of our community. It takes courage, vision and moral purpose to reverse that trend.